Shattered Sword absolutely eclipses former histories of the Battle of Midway between American and Japanese fleets during 4-7 June 1942. Two previous good histories had held the field with their different virtues: Incredible Victory (1967) by Walter Lord and Miracle at Midway (1982) by Gordon W. Prange. Walter Lord's book brings people to life and concentrates on what I'd call the critical path of the Midway campaign and battle: the main American line of events that led to the destruction of the four Japanese aircraft carriers by American dive bombers. 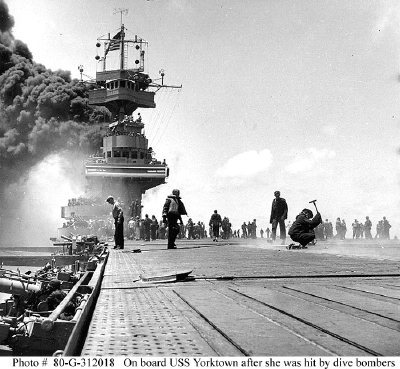 This focus unfortunately slights ancillary contributions made by other American forces present, as well as by the Japanese forces, and doesn't make it sufficiently clear that we threw everything we had at Midway at the Japanese fleet, until we had the victory. Gordon Prange's longer book has considerably more detail about both sides' forces in the campaign, but still depends on incomplete and now-deprecated Japanese sources, vitiating its overview and general understanding. Both Incredible Victory and Miracle at Midway carry out the promise of their titles: that the American victory and Japanese defeat were due not only to skill and bravery but also more or less to inexplicable factors overwhelming material odds, these factors including luck and divine intervention. Shattered Sword, based on deep research into Japanese sources and detailed and thoughtful analysis, provides a much clearer, more reasonable account. The book at hand by Jonathan B. Parshall and Anthony P. Tully fully justifies both its title and subtitle: Shattered Sword: The Untold Story of the Battle of Midway. For all its detail, this is a very readable book. Parshall and Tully take the campaign from its beginning at the Japanese Combined Fleet anchorage at Hashirajima, and follow it step by step to the battle over and near Midway Island. Each Japanese aircraft carrier — Akagi, Kaga, Soryu, and Hiryu — are described in such thoughtful detail as to bring alive their individual natures. 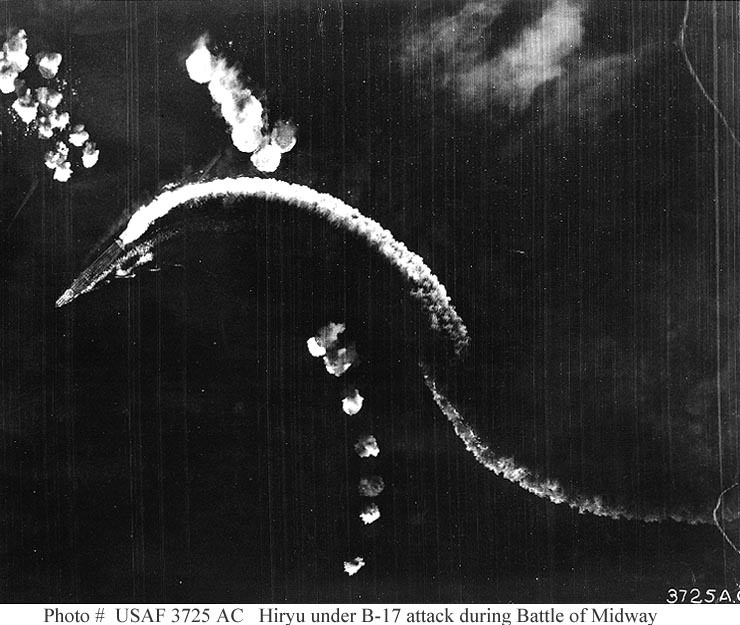 Not only principal Admirals Yamamoto's and Nagumo's characters and action are shown in the context of their Midway plan and attack, but many other Japanese fleet crewmen are portrayed by name as well, and their stories followed. The background on the institutional culture of the Imperial Japanese Navy highlights its virtues and liabilities, and helps explain how that Navy seemed to be having unbroken victories until their disaster at Midway. 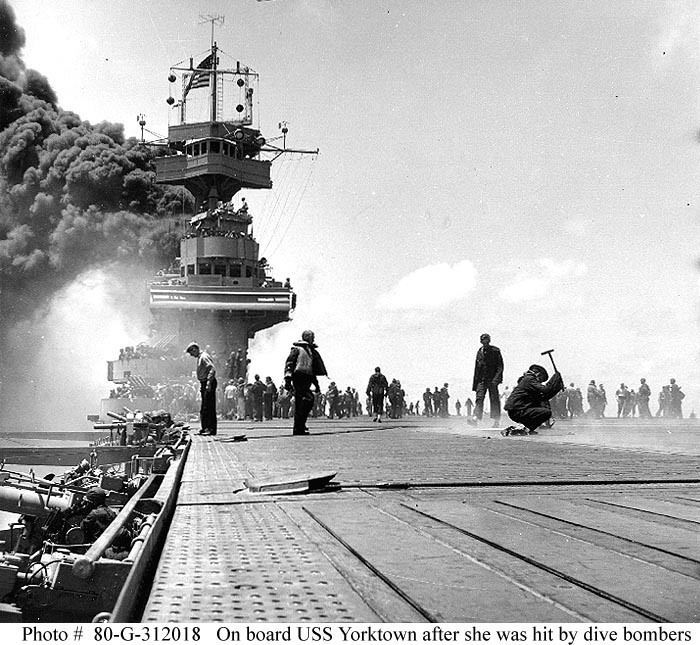 The American side is covered less thoroughly, starting from the carriers Enterprise, Yorktown, and Hornet leaving Pearl Harbor in Hawaii to try to ambush the Japanese carrier force. Why less thoroughly? 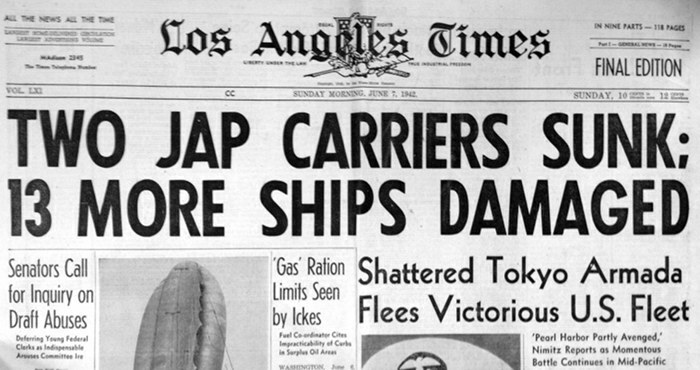 — Because the main conflict is in the skies over the Japanese carriers, and the fatal decisions of the battle are made there, some constrained by the Japanese ships' aircraft handling capabilities, and others according to their naval culture and training. Admirals Nimitz and Spruance are contrasted with the Japanese fleet leadership. The heart of the contrast and analysis in Shattered Sword is institutional and procedural. Getting aircraft from hangars up to the flight deck, armed, fueled, and ready to launch, is a complex procedure and the two carrier forces handled this differently, depending only partially on their carrier designs. Similarly for aircraft retrieval. Damage control is another specialty which Parshall and Tully make fascinating; the Americans were much better at it, as is shown strikingly by Yorktown's being present at Midway at all. The attempts of the Japanese sailors to save their burning carriers is followed in detail, often returning to individual officers in the course of the day; heartbreaking efforts. The authors' research provides a complete flight schedule for the Japanese carriers, what was launched, when and why, and what happened to each aircraft and aircrew. The maps are excellent, giving more or less new plots for the Japanese and American ships' paths, with coordinates for air-strike launch positions, incoming attacks, what bombs struck where, and where the ships finally sank — or were scuttled. In addition to all this wealth of tactics, the overall strategic picture of the Pacific War is explained clearly with its application to Midway for both American and Japanese navies. One of the appendices takes a what-if approach to an assault on Midway Island itself, presuming the Japanese carriers had won the naval air battle. Parshall and Tully look carefully at the Midway ground defenses versus the intended Japanese invasion force. This is an important and fascinating book, with not only wonderful tactical texture but some surprising strategic conclusions. Shattered Sword reads like a novel, and it's by far the best history of the Battle of Midway.